One of the most common reasons for issues in hybrid vehicles are proper service and maintenance standards not being met, this in turn leads to expensive repairs in the long-term. As hybrid vehicles are different from conventional vehicles, the means in which they should be looked after are different as well – which is why vehicle owners must always have their vehicles tended to by The Hybrid Vehicle Experts. At Edirisinghe Brothers’ Hybrid Hub, we offer customers a periodic maintenance service inclusive of an extensive 30-point health check of all the vital components in hybrid vehicles. We advice all our customers to have regular periodic maintenance services performed on their hybrid vehicles at every 5,000 km* interval. * Mileage intervals may differ due to various factors. 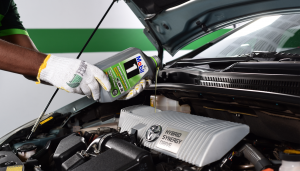 Our periodic maintenance service* goes beyond a mere oil change offering customers oil and filter changes, multiple diagnostic reports and more. * Preventive maintenance will be offered as required. Our qualified and knowledgeable team of Hybrid Technicians are able to complete a periodic maintenance of your hybrid vehicle, inclusive of a wash and vacuum, in an efficient and speedy manner. attended to during a periodic maintenance service. Click below to confirm booking or to call us for more information. Call us now or book online by clicking the links below. 20% off on Preventive Maintenance Services made through online bookings. We advice all our customers to have a periodic engine tune up performed on their hybrid vehicle at every 20,000 km* interval. During this service, we are able to restore power, efficiency and smoothness to a hybrid vehicle. with the Hybrid Vehicle Experts. Our team of Service Advisors and Hybrid Technicians go through continuous rigorous training procedures conducted in our dedicated in-house training facilities and by our partners in U.S.A. and Singapore to ensure the highest standards in hybrid vehicle maintenance. 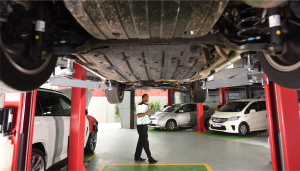 At Edirisinghe Brothers’ Hybrid Hub, our maintenance and diagnostics services are designed as a preventive maintenance measure to all hybrid vehicle owners, ensuring there are no issues and expensive repairs that may be incurred in the long-term. Our facility carries an extensive stock of genuine vehicle parts, along with all leading brands for customers to choose from. Customers are able to use the dedicated workstations to browse the internet or catch up on work while waiting on their service being completed. Refreshments and a comfortable lounge is available for customers to unwind in while a Hybrid-Grade Maintenance Service is carried out on their vehicle. Call us now at 011 4777 999.